Looking towards the summit cairn on Carnbane East. At 35m diameter it is much snaller than the Bru na Boinne tombs but has a fine setting overlooking the plains of the Midlands and views back to the Hill of Tara and Wicklow Mountains. The Neolithic tombs date from 3000BC and are aligned to dawn on the equinox. 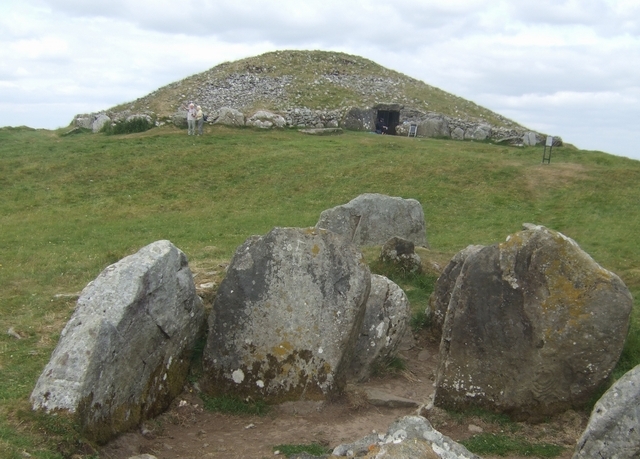 During the summer the passage tomb is open to visitors.